Buying a bookshop is a dream that some have had since childhood. Bookshops can be special places where customers spend hours choosing their next book title, and everyone loves a good book. However, what does it really take to run a book sellingbusiness? Tan gave us his insider view. “A lot of my friends said to me ‘you're mad, what are you buying a bookshop for? You've got the internet, Kindles, Amazon’”. But he had been looking for a business opportunity for a while and this one caught his eye. Tan, who previously worked in pharmaceutical manufacturing, as well as working as an extra in TV and film, was originally looking for a gift shop or a coffee shop, before he saw the bookshop. He explained that “it was just the feel of the place” that won him over and the business had already been running for 30 years so he considered it a fairly viable business with an established customer base. Tan bought his business with a mixture of existing savings and small loans. He also re-mortgaged his house; “I stretched the mortgage as far as it can go, so if things do go pear-shaped, I can still meet my payments by doing an ordinary job somewhere". Tan used multiple sources of money to raise his finance, and he took risks, but he sensibly made sure his risks were calculated, and that he had a backup plan for if the project failed. It took Tan four months to complete the purchase, from the initial offer through all the necessary paperwork. Tan advises "it's better to get things right, and get what you want, rather than rush into something you might regret later". Tan gets to the shop for about 10am to welcome the deliveries. He then rings the customers awaiting book delivery and then he’ll do any school orders. Tan says “it’s a question of dealing with customers as we go along, then planning the orders for the next day". When you’re an independent business you have to work with a certain amount of flexibility. Tan also told us "you have to be a people person to work in the retail trade. You’ve got to be prepared to be nice to people and you've got to be prepared to deal with people who are a bit rude to you. You have to be able to handle complaints and queries. You need a lot of patience". You also have to be prepared for the initial challenges of opening a bookshop and be ready for a period of learning and adjustment. Tan says "the first few months were really intense, learning everything” even though the previous owner provided guidance and advice. The famous e-book retailer is bullish about the future of the traditional, paper-based format. Internet shopping has taken off in this sector like no other - over a third of book purchases are now made online. Together, they account for almost half of the UK's book market. The abolition of the net book agreement in 1997 was a major catalyst for the rise of the chains. Suddenly, shops were allowed to sell stock at below cover price, enabling bigger enterprises to take advantage of economies of scale and undercut the smaller operator, often through special offers. 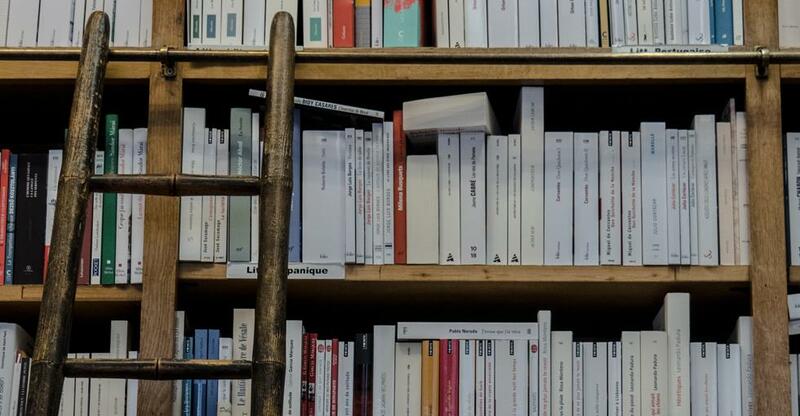 Nevertheless, forecasts of the independent bookshop's demise are premature and there appears to be a resurgence in book buying from independent retailers. Figures from Nielsen Book Research show that in the first half of 2016, Britons bought more than 78 million books, approximately 4 million more than the same period in 2015. Their research also states that sales are up more than 9% and sales of printed books are growing faster than ebooks for the first time in over a decade. People "like the idea of being a bookseller", says Michael Neil, managing director of book wholesaler Bertrams. "It's seen as a noble thing to do. "As the chain bookstores have consolidated, there are opportunities for good local 'indies' to step in. There is a thirst for authenticity, and shopping at an indie bookstore seems to be part of that." Buying online is convenient if you're simply ordering the latest John Grisham thriller, but you're perhaps less likely to unearth an unknown gem. Wandering around a shop, reading blurbs and leafing through the pages of obscure novels is a three-dimensional experience only.